A harsh New England winter can be discouraging when it comes to putting the effort into curb appeal. 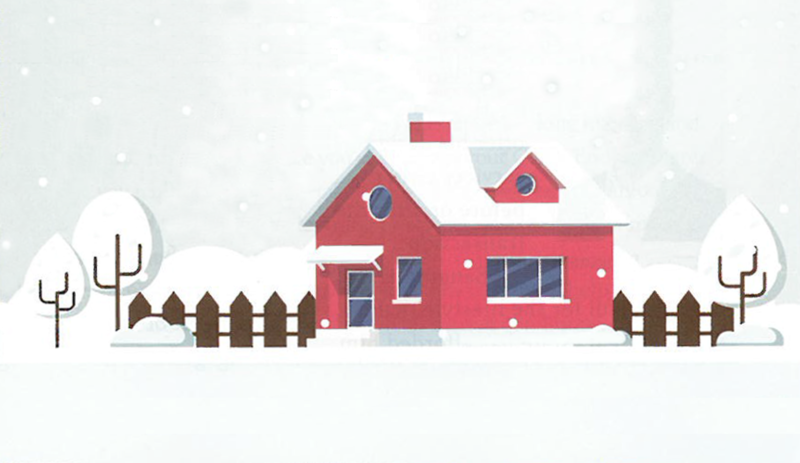 But, even in the winter, the effect of a well-presented home can increase its value by up to 17 percent, according to the Outdoor Power Equipment Institute (OPEI). Icy walkways and stairs can hinter the experience of potential buyers and, not to mention, be extremely dangerous. Make sure entryways are clear and hazard-free to make sure buyers can safely get in and out of your home. If you have winter plants, now is the perfect time to showcase them. They’ll match the winter landscape and add new life to your home. Additionally, make sure to prune any other trees and shrubs so that they don’t overshadow your home’s appearance. Shorter days mean outdoor lighting is important to ensure the safety of visitors. Well-placed lighting can also give the impression of a more welcoming home, especially on gloomy days. If you are considering holiday decorations, just remember to keep it simple and elegant. For daylight hours, bird feeders can also be a smart decoration to add — brightly colored birds against a winter scene can really leave a lasting impression with potential buyers. Even though technically inside, you should do some early spring cleaning in your garage. When there’s less clutter, the garage can look bigger and appear more inviting. Finally, outdoor cleanliness can be just as important as indoor cleanliness. Keep your lawn, gutters, porch and an other outdoor areas clean and presentable. While it’s cold outside and these tasks can seem daunting, it’s important buyers have the impression that the house is clean and easy to maintain.